There are only a few Professional Congress Organisers (short: PCO), which have been accepted as members of IAPCO, the renowned international association of PCOs. PCO Tyrol Congress is only the fifth Austrian PCO to be IAPCO-accredited. “The PCO Tyrol Congress team have done an excellent job for many years, and it was therefore only a matter of time before it qualified to become accredited by IAPCO. IAPCO is the only accreditation for PCOs, and to date not more than some 130 members from all over the world have been admitted. As IAPCO president and being from the Tyrol myself, I am especially pleased that PCO Tyrol Congress is now also part of the world elite of PCOs”, says Mathias Posch, IAPCO President. Ina Kähler, head of PCO Tyrol Congress, is very happy about the positive client feedback and enthusiastic to be now a member IAPCO. “We are proud to be part of IAPCO and to further contribute to strengthening the PCO segment within the MICE industry. IAPCO offers an ideal platform to exchange knowledge, experiences and ideas with colleagues from all over the world. PCO Tyrol Congress was founded in 1993 and is part of Congress Messe Innsbruck (CMI). 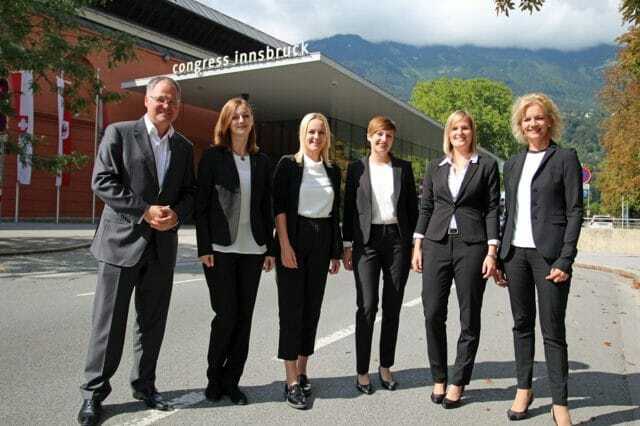 In its three locations CMI hosts some 500 events with 600,000 visitors a year.” Christian Mayerhofer, CEO of Congress Messe Innsbruck sees the IAPCO membership as a special recognition: “I am especially pleased that the PCO Tyrol Congress team is now a member of this select group of PCOs. It is a sign of the much-deserved recognition of the outstanding accomplishments and commitment of the entire team and will no doubt further help to corroborate the second rank Innsbruck and the Tyrol occupy behind Vienna as a destination for international conferences”.